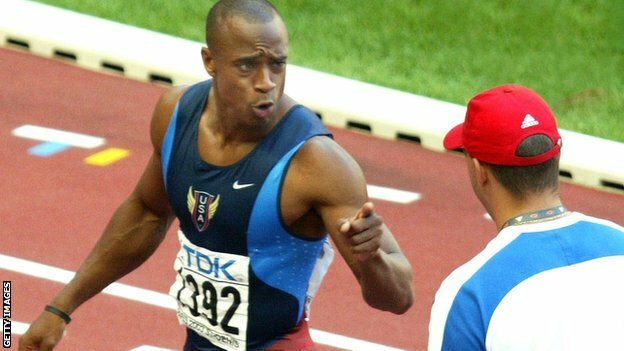 – Craig Winrow, the coach of UK 800 Olympian Andrew Osagie, talking about how he became Osagie’s coach. Osagie, a two-time world indoor bronze medalist, holds the unfortunate distinction of getting last place in the 2012 Olympic 800 final with a time (1:43.77) that would have won any of the previous three Olympic finals. Jon Drummond gets 8 year ban! 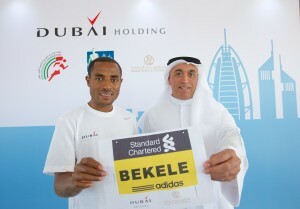 Forgive my ignorance, but who WAS coaching Bekele all these years? 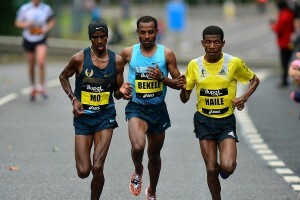 Can someone explain why bekele is so much better than anyone else? *Lengthy Detailed Transcript On USADA Decision Against Drummond We’ll try to read this and get something up on it soon, but for now here is the full arbiter’s decision. Athletics Kenya Drops The Ball Big Time: Recently-Banned Kenyan Runner Viola Kimetto Furious With AK As They Never Even Told Her She Failed A Drug Test AK completely ignored the notice from the IAAF saying Kimetto was banned and even cleared her for a travel visa to go race a marathon in Zagreb. Because of this, Kimetto never got a chance to fight or explain the drug test, have her “B” sample tested, and now her ban has been extended by almost a year since she unknowingly raced when she wasn’t supposed to. Russian Whistleblowers Say They Have More Proof To Support Their Allegations About Doping In Russia 800 runner Yulia Stepanova and her husband Vitaly Stepanov say they are still waiting to hear from the IAAF and WADA so they can share their evidence. One would think this is something an “Independent Ethics Commission” would look into? Good Read: Athletics Weekly Talks To 800 Runner Andrew Osagie, Who Is Going For Three UK Indoor Records This Season In The 600, 800 And 1,000 Article includes funny anecdote about how Osagie’s coach Craig Winrow only started coaching him in college because he had no one else to coach. Interesting: Outside Magazine Article On Oiselle Founder Sally Bergesen’s “Crusade To Change The Running Industry” Bergensen contrasts Oiselle’s athlete contracts with other companies like Nike. While traditional contracts are 20-plus pages long, Oiselle’s are actually only one page. Cometitor.com Q&A With Kim Conley Conley is racing the US Half Marathon Championships in January and says she’s training to be in around 70-minute shape. SpikesMag Talks To Exercise Physiologist Dr. Laura Garvican-Lewis About The Australian Institute Of Sport’s “Altitude House” Athletes there do “high-low” training, living at 9,800ft, but training at sea level. Kate Avery “Amazed” By Silver Medal At Euro XC Champs She thought she could get top 10, but ended up almost winning. Mary Cain, Matthew Centrowitz, Brenda Martinez And Jenn Suhr Added To Fields For New Balance Indoor Grand Prix On February 7th Martinez will run a leg on the New Balance team that will try to break the DMR world record. 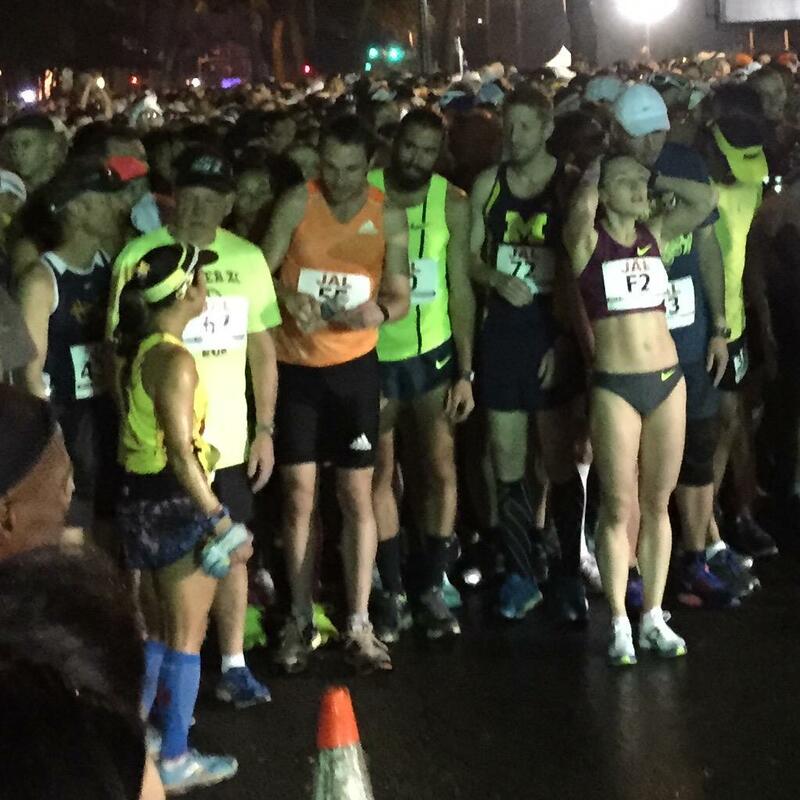 Bring Back The Mile’s Top 10 Mile Moments From 2014 A chronological list of the biggest mile news from the year. 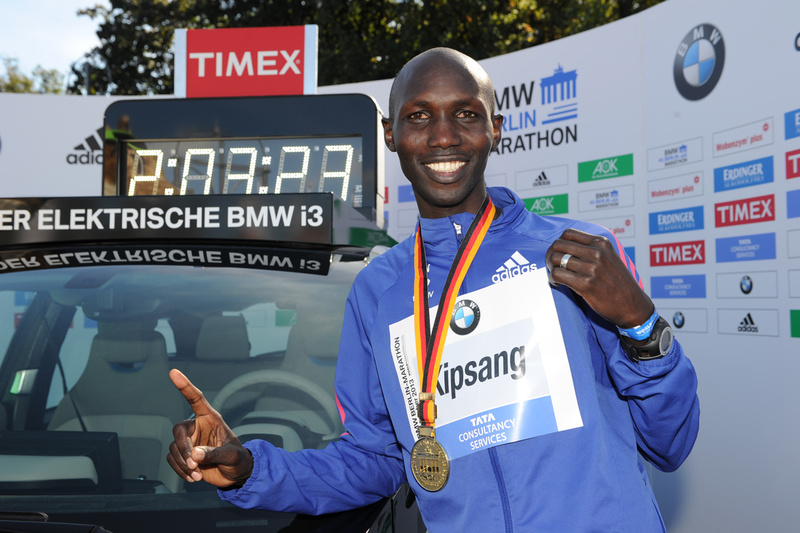 Wilson Kipsang Missed An Out-Of-Competition Drug Test Last Month Athletes are allowed three “whereabouts failures” within an 18-month period, so there will be no sanction for Kipsang. UK Athletes Rhys Williams And Gareth Warburton Wait Decisions Of Their Doping Hearings The verdicts for the sprinter and mid-d runner are due next month. They both were kicked off the Commonwealth Games team after failing drug tests. Adrian Peterson Won’t Try For The Olympics According To ProFootballTalk They reported that he plans to play football in 2015. Interesting stat: 40 NFL players have competed in a Summer Olympics – 33 in track and field, six in wrestling and one in handball. Sports Illustrated’s 50 Fittest Females Compilation Allyson Felix was #1 and Dayra Klishina, Dawn Harper, Jenn Suhr, Jessica Ennis, Katarina Johnson-Thompson and Tianna Bartoletta also made the list. We Should Know Result Of Rita Jeptoo’s “B” Sample Test Later This Week Announcement expected on Saturday. US 2024? USOC Will Hear Olympic Bid Pitches From Four Cities Today LA, DC, Boston and San Fran. A Deeper Look At Rome’s Bid For The 2024 Olympics Which Could Involve The Vatican There is hypothetical talk of having some events in St. Peter’s Square. NY Times: Kosovo Savors An Olympic Victory, Two Years Before The Torch Is Lit Earlier this month, the IOC voted to admit them and let them compete at the Olympics. European Team Selected For Great Edinburgh Cross-Country The meet between the US, UK and Europe is on January 10th. A Look Back At Past Winners Of BBC’s Sports Personality Of The Year Award A lot of track athletes, including the first winner in 1954, Chris Chataway. 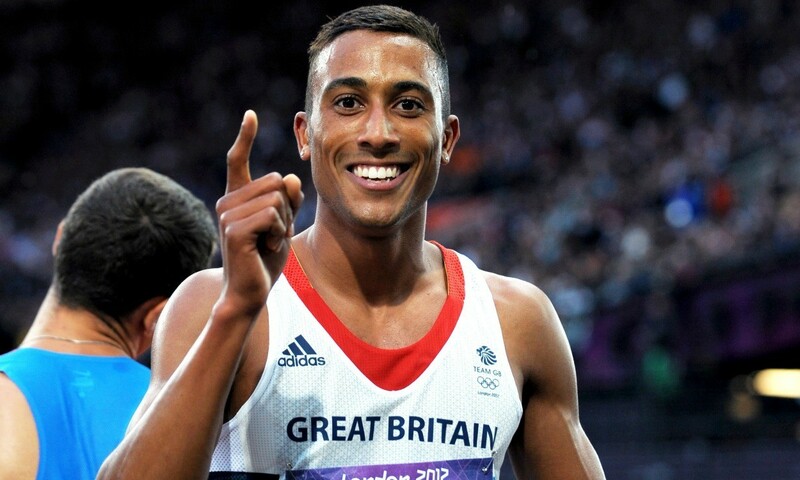 That year he set the 5,000m WR and also helped rabbit Roger Bannister to the first sub-4-minute mile. Kenenisa Bekele’s Third Marathon Will Be In Dubai On January 23rd; Now Being Coached By Renato Canova Bekele said that he learned a lot from his disappointing race in Chicago and that things have gone well since then. 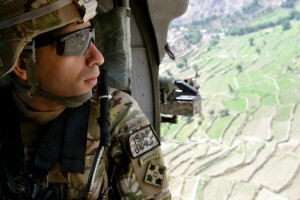 Canova has taken over his training and is with him in Ethiopia. 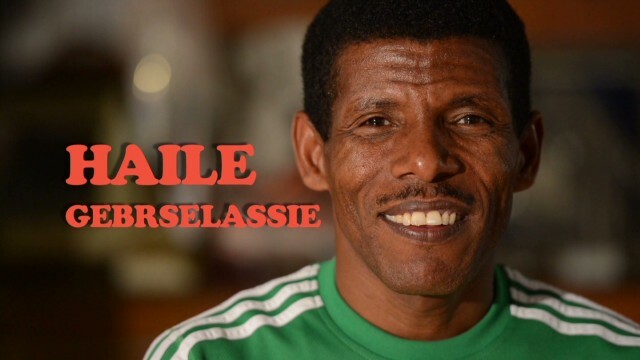 *MB: RENATO CANOVA is Bekele’s new coach! GB’s Gemma Steel Just Nips Teammate And NCAA Champion Kate Avery To Win European XC Champs GB dominated the team competition to win easily. Turkey’s Polat Kemboi Arikan Wins Men’s Race At Euro XC Champs In Close Battle With His Teammate Alia Kaya Just as in the women’s race, both men finished with the same time. Spain’s defending champion Alemayehu Bezabeh was third, 11 seconds back. Turkey won the team competition, beating Spain by 3 points. Brazilian Public Names Rio 2016 Mascots Vinicius And Tom The names honor Brazilian musicians Vinicius de Moraes and Tom Jobim. Will Leer Blogs About Attending USATF Convention He’s got good news – USATF will fill the distance fields at USAs. The bad news – well, you already know that. 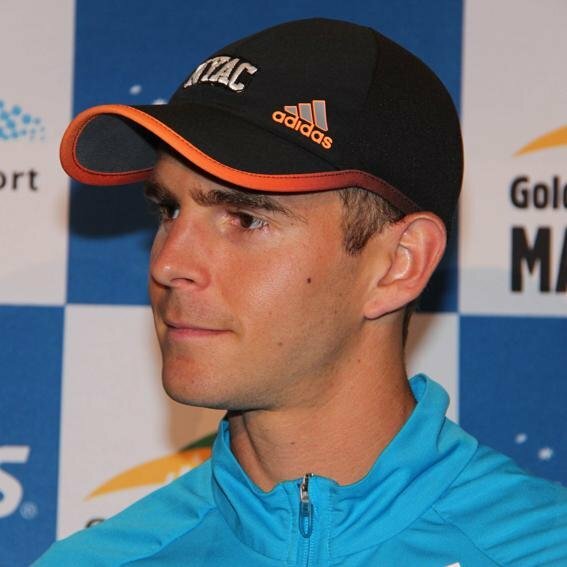 Tim Hadzima Has Been Named General Manager Of The Abbott World Marathon Majors Previously, he worked in marketing for Bank of America. Jo Pavey Is Crowned British Athletics Athlete Of The Year In Fan Vote The young athlete of the year was Matthew Hudson-Smith. The 200, 10,000 And Shot Put Allegedly Among Events That Could Be Removed From The Olympics Australian paper is reporting that those along with the 20K race walk and TJ are being considered in the IOC’s push to make room for other sports. Apparently the 10,000 is most at risk. Glasgow Herald Writer Warns That Olympic Reforms Might Mean A Painful “Price That Will Have To Be Paid” For Track And Field He knows “every event on the programme is sacrosanct to aficionados of whatever discipline” so there will be uproar no matter what goes. Jan 10: Garrett Heath Will Return To Defend His Title At The Great Edinburgh XC Meet Heath was the surprise winner last year, beating Kenenisa Bekele and Asbel Kiprop. 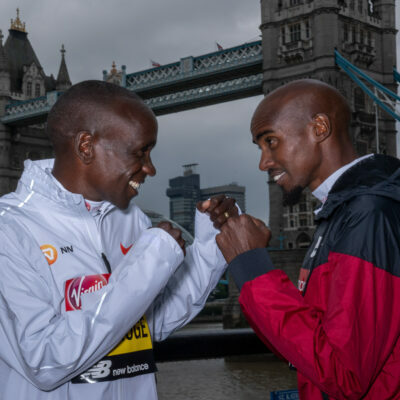 This year Kiprop is back and is joined by Mo Farah, World XC champ Japhet Korir, Silas Kiplagat and, in his first race as a master, Bernard Lagat. Jan 31: Record-Breaking Fields Set For Armory Track Invy; World Record Will Likely Go Down In DMR World Challenge Race Field has teams from USA, Kenya, Ireland, NJ-NYTC, Wisconsin, Villanova, Duke, Columbia and the University of Mississippi. 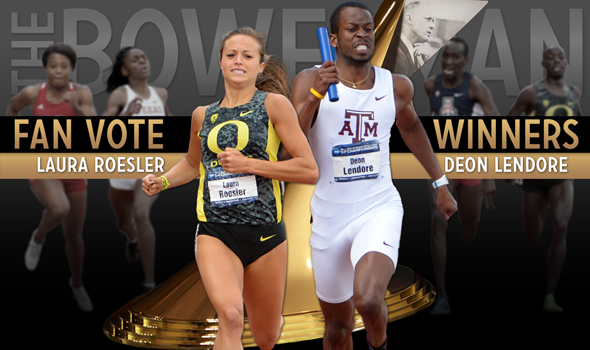 Open athletes competing at the meet include Galen Rupp, Mary Cain, Ajee Wilson and Jordan Hasay. Extensive Gary Cohen Interview With Charyl Bridges, Shalane Flanagan’s Mom In 1971 Bridges set the marathon WR at 2:49:40 and she also represented the US at 5 World Cross-Country Championships finishing 4th in 1969. Video: Alberto Salazar Talks To High School Coaches About Running Form Salazar also answers a question about cross training, saying none of his athletes do it; they all just run on underwater treadmills or the Alter-G. The Guardian’s 10 Memorable Athletics Moments From 2014 Unfortunately, they’re probably right when they say the most memorable was the “can of worms” opened up by the German documentary on Russian doping. Suspended Adrian Peterson Considering Retiring From NFL And Pursuing Olympic Dream In The 200/400 Peterson apparently has a has a wind-legal 10.26 (or 10.19) from high school and a 21.23 200 (wind-aided) and 47.6 400. *Philip Hersh: “Adrian Peterson In The Olympics? Not A Chance” His times from high school are nowhere near being competitive with today’s elites and he’s 29 years old. LRC Grant Fisher & Anna Rohrer Become Legends, Win Second Titles One pushed hard throughout, one waited until the final 800, but both were utterly dominant in earning their historic second wins. Where do they stack up in terms of all-time greats? *Make your predicitions now, When does Grant Fisher break 4:00 and how close to Webb’s 3:53 does he get? 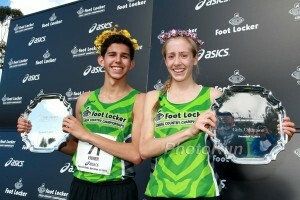 *Footlocker Nationals!! WEST Team, What happened? 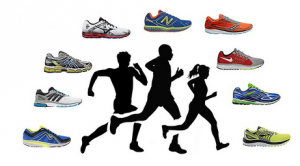 *Five reasons why I hope Grant Fischer doesn’t win footlocker. Will It Ever End? Two Kenyan Marathoners Banned For Failed Drug Tests; Six More Suspected Viola Kimetto is a 2:40 marathoner and Joyce Kiplimo a 1:10 half marathoner. The other 6 suspected runners are also named. A Sad Look At The People Most Hurt By Dopers: UK’s Jenny Meadows Angered By Russian Cheats: “I don’t know how they can sleep at night. I don’t know how anybody can deceive so many people.” Meadows tabulates that she has missed out on many medals and possibly up to $100,000 in prize money/sponsorship due to dopers. The Guardian: Crisis At IAAF That Threatens To Bring Athletics to Its Knees A look at some of the questions that need to be answered. What Happened To Foot Locker Legend Kenny Cormier? 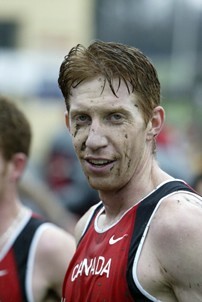 LRC 10 Years Later: Finding Kenny Cormier 10 years ago, Kenny Cormier was atop the running world. Three years later,he was completely out of the sport. Here’s his story. LRC WTW: Double Wins For Bill Aris, Sarah Disanza Rocks It, Jeff Eggleston Goes For It, Paula Radcliffe Improves, And More We recap the week that was and talk about Sarah Disanza rocking it, Jeff Eggleston going for it, Paula Radcliffe improving, Patrick Makau returning and investigate whether Bill Aris is the greatest high school coach ever? *MB: Who says Americans don’t go for it? Jeffrey Eggleston sure did. 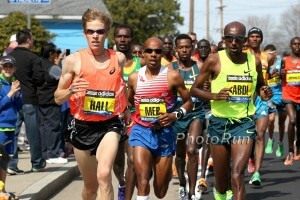 2:10 marathoner went out in 63 at Fukuoka last weekend!! LRC BBC World Wants To Know Why IAAF General Secretary Nick Davies Wrote A Passionate Letter To LetsRun.com Instead Of Issuing A More Traditional Statement LRC co-founder Weldon Johnson gives his thoughts. Bad reporting or not, maybe the names should come out. IAAF’s Most Senior Anti-Doping Official, Dr. Gabriel Dolle, Leaves Job After Being Interviewed By IAAF Ethics Commission Dolle has possibly been implicated in the investigation into Liliya Shobukhova‘s payoff to the Russian Athletics Federation. The IAAF Ethics Commission has apparently been investigating since March and is expected to deliver a verdict within two months. Papa Massata Diack Steps Down From IAAF Pending Investigation Lamine Diack has been interviewed by a French newspaper and said that his son was big enough to look after himself. The Guardian: “Doha: The Honeypot That Catapulted Itself Into The Sporting World” Writer analyzes Doha’s consistent (possibly corrupt) use of money/financial incentives in its quest to host events including the World Cup, World Champs and Olympic Games. Guardian: “IAAF Limps On As Rumors, Allegations And Innuendo Race Out Of Control” This article claims the IAAF has sat on allegations of corruption in Russia for a long time before acting. 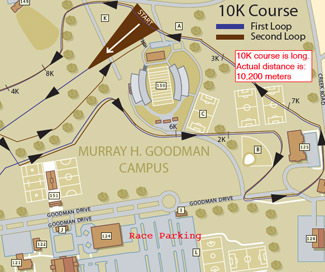 The race results say 10K, the course map says 10,200m, but what was it really? Employee 1.1 tells you what he found out and argues why course accuracy is important, even in XC. *MB: Club cross: was the course actually long? 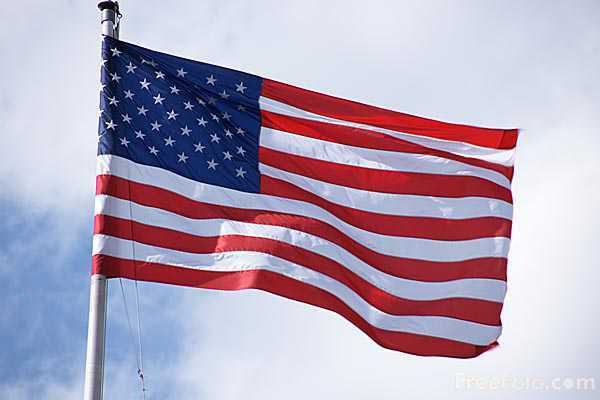 USA Will Officially Bid For 2024 Olympics They will decide in January which city (LA, San Fran., DC or Boston) will bid. Pope Francis Supports Rome’s 2024 Olympic Bid, But Others Call It “Madness” Those against it cite financial issues as well as recent issues with the Mafia. 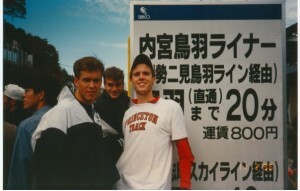 Michigan Coach And Former 3:50 Miler Kevin Sullivan Runs His 1st Marathon In Honolulu On A Whim Sullivan on his unplanned debut: “When Nick Willis and Will Leer asked if I wanted to join them on their long run, I simply said, hell if I am going to run 16-18 miles and wait to get picked up, I might as well just run the whole thing.” The 40-year-old ran 2:40:22. Shawn Forrest, An Australian 61:25 Half Marathoner And Former All-American At Arkansas, Diagnosed With Type 1 Diabetes Forrest went to the ER when his body started shutting down and he was almost blind with an “off the charts” blood sugar count. He hopes now with proper treatment he’ll be able to get back on track with his running. RunningTimes Catches Up With Teen Runner With MS, Kayla Montgomery, After Her First Season Of College XC At Lipscomb University Montgomery was in Lipscomb’s top 7 all year. The team finished 4th in the DI South Regional. LRC Results: Ryan Hill And Laura Thweatt Win Zap Fitness dominated the men’s team competition as the BAA was 2nd. In the women’s team, the BAA won over the Boulder Running Company/adidas. Perhaps more importantly, German Fernandez was third in the men’s race. Scott Reid In Orange County Register: Stephanie Hightower Betraying Sport To Chase Her “Own Self-Serving Agenda” He accuses of her of working behind the scenes to take Bob Hersh‘s spot on the IAAF Council, saying she pushed to alter the USATF selection procedure to do so. Better Than Prize Money? Eritrea’s World Half Marathon Silver Medalist Samuel Tsegay Wins Cross Nacional Castellano-Manchego XC Race In Spain Spain’s Alessandra Aguilar took the women’s race as she and Tsegay won their body weight in cheese, wine and chocolates. Irish Columnist Says She’ll Give Up Track And Field If Bolt Is A Doper She, like us, thinks he’s a freak of nature. Polish Hammer Thrower Anita Wlodarczyk Aims To Become First To Throw 80 Meters The WR holder at 79.58 was inspired by Poland’s Olympic champ Kamila Skolimowska, who died of a blood clot at age 26. 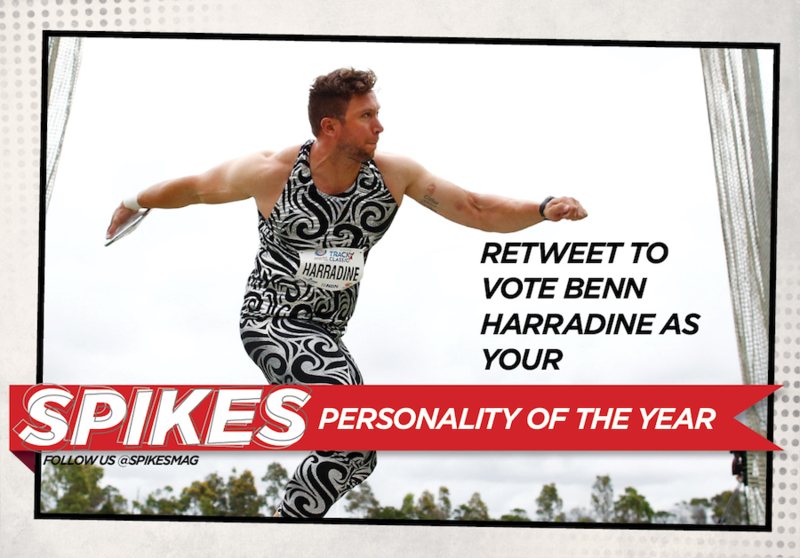 Maggie Vessey And Alysia Montaño Are 2 Of 4 Finalists For Spikes’ Personalities Of The Year Vote for who you think “showcased athletics in an unusual fashion” in the inaugural SPIKES Personality of the Year awards. Zatopek:10 Classic In Melbourne: Aussie Brett Robinson (28:45) And Kenyan Veronica Wanjiru (32:22) Win 10,000 In Very Windy Conditions NR holder Alex Rowe won the 800 in 1:46.91; an impressive season opener in the windy conditions. *RunnersTribe Recap: Robinson And Eloise Wellings Win Australian National Titles Robinson became the first Aussie to win the race in 5 years while Wellings ran 32:26 to finish 2nd to Wanjiru. The Head Of The Russian Athletics Federation Valentin Balakhnichev Has Stepped Down From His Role As IAAF Treasurer While Investigation Is Conducted He stepped down voluntarily and says he plans to return to his position after the investigation is over. The Guardian Claims To Have Seen Leaked Emails Implicating Lamine Diack’s Son In 2017 Worlds Bribe With Doha Article includes quotes from alleged emails. 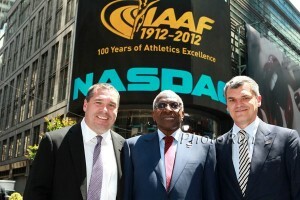 Related To IAAF Accusations? WADA To Conduct Its Own Investigation Into Russian Doping Allegations Originally they had left it to the IAAF, but now after “careful review” they will conduct their own probe. Speaking Of Lance: Lance Armstrong On Decision To Dope: “Once we realised … that we had brought knives to a gun fight, we all went out and got guns. Virtually everybody in the business made that decision.” Armstrong compared himself to Bill Clinton and Tiger Woods, but said they were given a chance to redeem themselves and he wasn’t.